The Conners pulled in 10.5 million viewers last night, which is slightly less than the Roseanne revival season finale. The revival series premiered with an amazing 18 million viewers, which blew everything else out of the water. However, the show started to decline each week after the initial opening numbers. With that being said, The Conners was never expected to reach the heights of the revival series without Roseanne Barr attached. The numbers are impressive, but they are 35 percent lower than the revival premiere and it has many wondering if it will be able to keep it up throughout the season. The Conners takes place three weeks after the death of Roseanne Conner. The family was under the assumption that she had died from a heart attack, but it was later revealed to be an opioid overdose, which many saw as controversial. Even Roseanne Barr, who previously said she was going to move to Israel when the show premiered, isn't a big fan of the way that the spin-off handled her exit from the show, tweeting, "I ain't dead b*tches!!!" 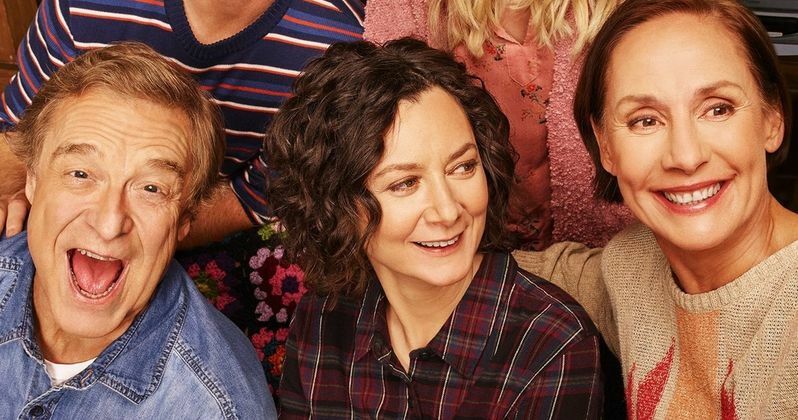 John Goodman, Sara Gilbert, and Laurie Metcalf kept largely quiet about The Conners until just recently when ABC started the final marketing push for the new series. The series premiered with a 7.7/13 in metered market ratings, which indicate the obvious, which is that the spin-off won't be as big as the Roseanne revival series. The revival finale had 10.6 million viewers. However, the numbers are good enough to where the network isn't going to stress about some dips along the way. Episodes featuring Johnny Galecki and Juliette Lewis are on the way, as well as the annual Halloween episode, which should help gain some new ratings. Sources say that ABC will be comfortable to see The Conners at around 6.2 million viewers and a 1.6/6 rating among adults 18 to 49, which means that there is some wiggle room. CBS' NCS is the show to beat on Tuesday night, and easily won the race last night with 11.7 million viewers, but that was expected. The spin-off is the #1 new series debut this season as well as the top comedy debut. It's still going to be an uphill battle for The Conners, but it's not doing nearly as bad as some Roseanne Barr fans had hoped. The Roseanne revival series was a big deal, but it was later canceled after Roseanne Barr's racist tweet towards former Barack Obama aide Valerie Jarret. The cancelation ended the new family reunion and left show newcomers, as well as the crew, without jobs. ABC quickly pitched the idea of a new comedy series moving forward with everything the same, except without Barr, and things then started to move quickly. Barr is not a part of the spin-off and will not see any financial gain from the project. You can check out some more Tuesday night ratings numbers over at Deadline.